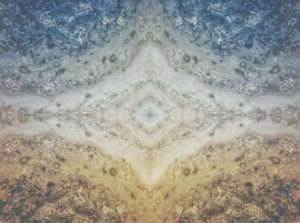 When new, beautiful images of Jupiter came pouring in, Candice Hansen-Koharcheck was blown away. 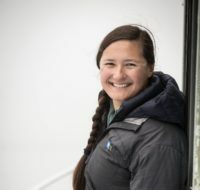 But she wasn’t stunned by the unprecedented view of Jupiter’s polar regions — portions of the planet that people had never seen before. It was the public’s enthusiastic embrace of JunoCam, the world’s first interplanetary outreach camera, that made the project into a success and left her starry-eyed. Hansen-Koharcheck, a planetary scientist, has been photographing planets and other celestial bodies for decades, including with the Voyager spacecraft in 1977, Cassini’s mission to Saturn and the Mars HiRISE camera. She is also a co-investigator on the Juno mission, which is currently orbiting around Jupiter. This time, however, her collaborators are citizen scientists. JunoCam calls on people from around the world to decide what gets photographed. Amateur astronomers spot interesting features on Jupiter and its moons from their backyards and then submit their favorites for a public vote. On a normal NASA mission, there would be a team of imaging scientists, but in the case of Juno, there’s just me and the public. 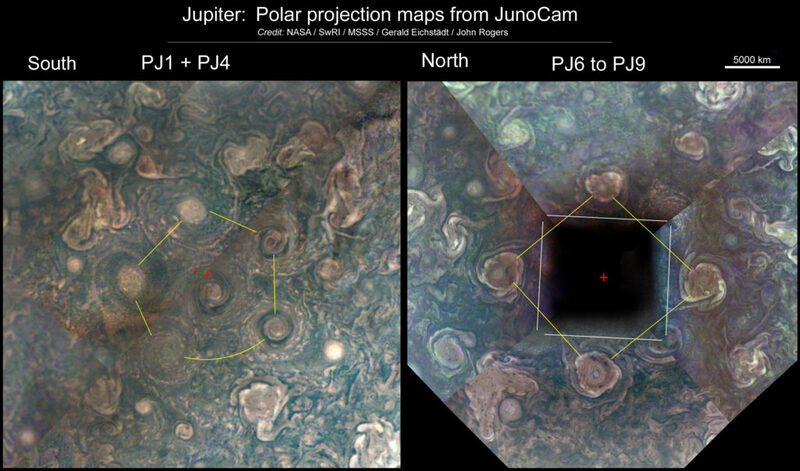 JunoCam snaps the requested photos, and people download them for their own artistic or scientific interpretations. NASA has created an online gallery of these images, and so far, participants have re-uploaded around 4,000 images to the site. On Aug. 28, Hansen-Koharcheck was recognized with NASA’s Outstanding Public Leadership Medal for her ongoing leadership on JunoCam. But for her, the lasting legacy is that amateur astronomers, space fans and artists have jumped wholeheartedly into the scientific project. This week, she gave PBS NewsHour a tour of the JunoCam’s origin story. Her interview was lightly edited for clarity. Where did the idea for the JunoCam project come from? From the very beginning, my boss Scott Bolton was really adamant that we include public engagement. And for the science objectives of the mission, we needed things like the magnetometer and the microwave radiometer, but with the visible camera, we were a lot freer to do what we wanted. What we decided to do was to essentially invite the public to be a member of the JunoCam imaging team. On a normal NASA mission, there would be a team of imaging scientists, but in the case of Juno, there’s just me and the public. This was an outreach camera, and it had very constrained resources – not just funding, but room and computing power on the spacecraft. By the way, the camera is on a spinning spacecraft–not exactly ideal for taking pictures, as you can imagine. We’re not going to be able to build up mosaics. We have to be able to get the entire polar region in one picture. That set the size of the field of view to 58 degrees, which is really wide compared to most cameras that we fly on other missions. It’s kind of like your iPhone. So, JunoCam works by taking a little bit of data at a time. The rawest of raw data are these little strips of red, green and blue. We offer this totally raw data to the public. Our most expert, super duper users start with the raw data. They assemble the three filters back together. 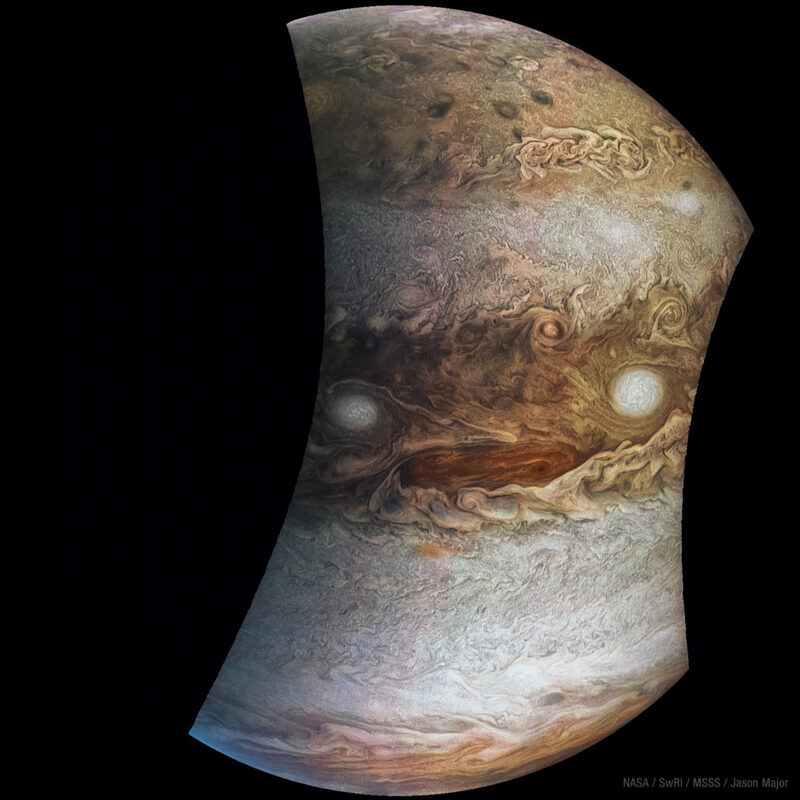 One photo, rotated 180 degrees, reveals the “face of Jupiter,” jokingly named “Jovey McJupiterface.” Photo by JunoCam / NASA / SwRI / Jason Major. NASA also assembles the three filters as grayscale images and one colored reconstruction. There are an incredible variety of contributions from people that come to our site, download one of the images or all of the images or whatever they want. They process the data in a way that they think is aesthetically pleasing, scientifically correct or whatever their own criteria are. We just ask that they share their results back with us. But citizen scientists on the ground guide this photography too? Jupiter is this very dynamic place and the clouds are always changing. Everything is in motion. In order to plan an image sequence, you need to know what your target looks like fairly close in time to when you take the pictures. So, we enlisted the support of all of these earth-based amateur astronomers. They take pictures with their own telescopes in their own backyards, and then they upload them into our planning portal. Would you say that the public involvement aided the camera’s mission, in that case? Absolutely. They helped with camera operation and selection of interesting targets. How else does the public interact with JunoCam? Before we ever launched, we sat down and said, “Okay, what are all the things that a classic imaging team would need to do to carry out experiments?” There’s the planning, discussions, the public voting, image processing and data analysis. 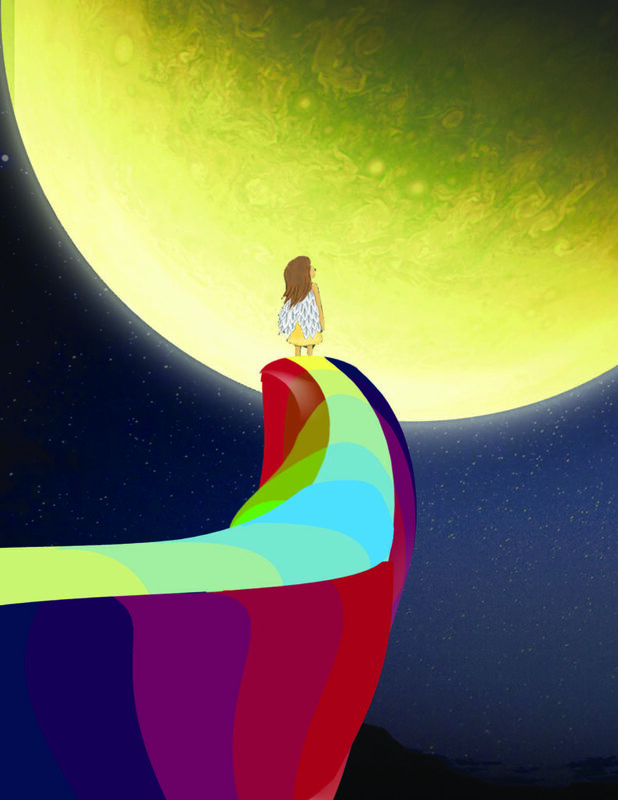 Each one of these thoughts has a whole portal on our website where people can contribute. We opened up our data and invited the world to come and play. We wanted to have a variety of ways for the public to get involved. Some things are going to be more up people’s alleys than others. Unfortunately, when Juno’s planned orbit changed, we had to suspend the voting. But I’m hoping that we can pick it up again once the orbit evolves far enough that the lighting and the viewing is predictable again. What surprised you most about the public response to JunoCam? I did not anticipate that the artist community would get involved, and I love it. I would never do this to my data, ever. I’m a scientist, you know? But to see Jupiter through the eyes of an artist is like a whole new experience. And I was really honored by the fact that people so generously shared their free time. To do this, people have to go through a lot of work. For example, Gerald Eichstädt, a German mathematician, takes our raw data. He reassembles it, takes out the drastic light difference and generously reposts everything that he’s done. Then Seán Doran, an artist, does these beautiful enhancements working with what Gerald has done and adding his own palette. What about scientific data? 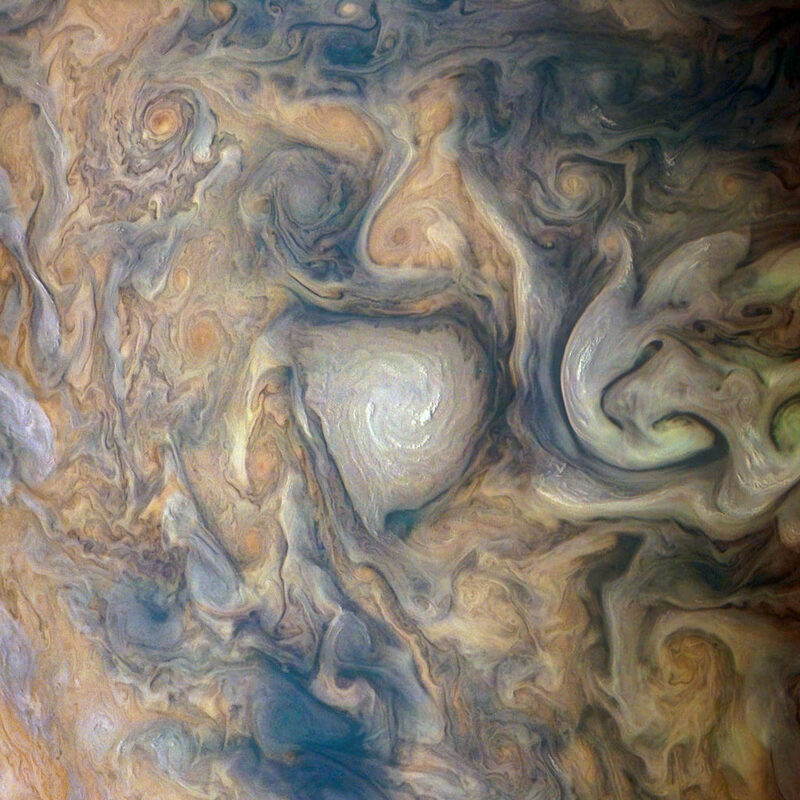 Has JunoCam discovered anything new about Jupiter? No other spacecraft had ever gone out of Jupiter’s equatorial plane, and we had never seen Jupiter’s polar regions. Another contributor, John Rogers, took Gerald’s images and stitched them together, and now we see that there are these cyclones around Jupiter’s poles. That was quite a surprise! And as it turns out, this is a very good camera. We can actually see clouds moving. It only takes us about two hours to get from the north pole to the south pole—this spacecraft is screaming by at 57 kilometers per second [about 128,000 miles per hour] with respect to Jupiter. We didn’t think we’d stick around long enough for the clouds to move… but they do! We’ve been able to calculate wind speeds. There’s a lot that can be done scientifically with the data, and I’m hoping that my colleagues in the community will be able to glean a lot more. I know several [scientists] have papers in the works; that sort of analysis just takes longer. What if the public hadn’t taken up the challenge? Was there a backup plan? That was my worst nightmare. I thought, “oh my god, I might have to process all of these by myself,” which would be an impossibility. We didn’t really have a backup plan. We just put it out there. The social part of this experiment has succeeded beyond my wildest dreams. There’s one featured image that I love. The little angel on the lookout. I was like, “It’s me!” Just looking at Jupiter. It’s very rewarding. We opened up our data and invited the world to come and play. I get lost in what these people have done, and then I get to looking at a particular image that I like. Look at that cloud feature. Look, that haze is going over that storm… and the next thing I know my afternoon is shot. Editor’s note: This story has been updated to change a number conversion: 57 kilometers per second is about 128,000 miles per hour, and not 35 miles per hour.